During my early years in public policy, back in the late 1980s, I repeatedly crossed swords with people who argued that Washington should have more power over the economy so that the United States could compete with Japan, which supposedly was an economic juggernaut because of “industrial policy” directed by wise and far-sighted bureaucrats at the Ministry of International Trade and Industry. 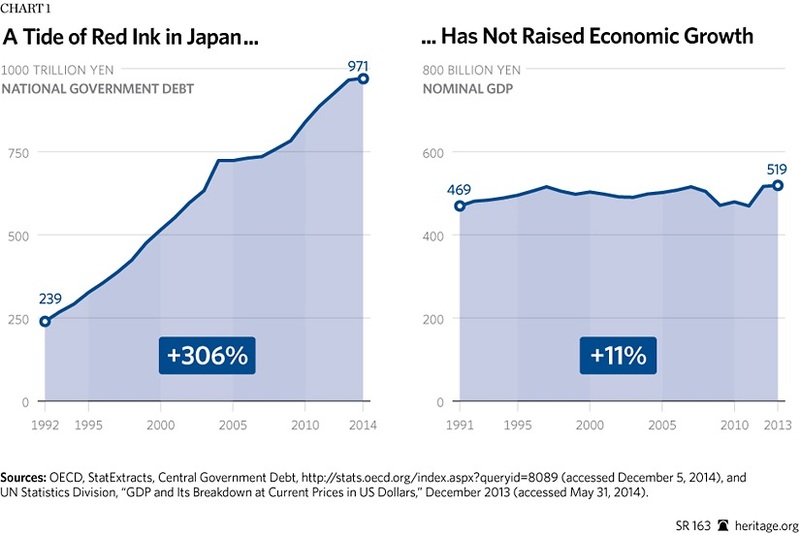 Given Japan’s subsequent multi-decade slump, it certainly seems like I was right to warn against giving American politicians the power to pick winners and losers. But not everybody learned from that experience. In the words of Yogi Berra, “It’s deja vu all over again,” only this time we’re supposed to be terrified because the Chinese government wants to subsidize and promote certain industries as part of “Made in China 2025”. At the risk of understatement, I’m not scared. Yes, China has enjoyed some impressive growth since it partially liberalized its economy in the late 1900s, but it will remain far behind the United States unless – as I recently explained on CNBC – there is a new wave of free-market reforms. Needless to say, a government initiative to favor certain industries is hardly a step in that direction. Some Chinese policy makers even realize that it’s counterproductive to give that kind of power to politicians and bureaucrats. Here are some excerpts from a report in the South China Morning Post. Sounds like Mr. Lou learned from Obama’s Solyndra fiasco that cronyism doesn’t work. But some of his colleagues still need to be educated. Made in China 2025 (MIC2025) strategy, Beijing’s blueprint for tech supremacy. …Since the plan’s launch in 2015, the government has poured money into MIC2025 to try to turn a number of domestic industries – including artificial intelligence, pharmaceuticals and electric vehicles – into global leaders by 2025. …Lou said: “It [the strategy] should not have been done that way anyway. I was against it from the start, I did not agree very much with it. I hope senior government officials change their minds about this harmful exercise in central planning. Not because I’m afraid it will work, but rather because I like China and I want the country to prosper. The partial reforms from last century produced great results for China, including huge reductions in poverty. Additional reforms could lead to mass prosperity. But that won’t happen if the Chinese government tries to control the allocation of resources. Let’s close with a big-picture look at central planning and industrial policy, starting with the common-sense observation that there are degrees of intervention. Here’s my back-of-the-envelope perspective. We have examples of nations, such as the Soviet Union, where the government had near-total control over the allocation of labor and capital. And I suppose Hong Kong would be the closest example of a laissez-faire jurisdiction. And then there’s everything in between. I’ve already shared two great videos on government planning versus the market. I strongly recommend this Prager University video, narrated by Professor Burton Folsom, on the failure of government-dictated investment. And also this video narrated by Professor Russ Roberts, which shows how a decentralized market efficiently provides a bounty to consumers. Here’s a third, which celebrates the work of the late Don Lavoie, one of my professors when I studied at George Mason University. By the way, there is a terrible flaw in the video. The photo that appears at 1:38 shows select faculty and students in 1987. Why is that a flaw? For the simple reason that I was part of the photo but got cropped out in the video. P.S. Some people worry that China’s industrial policy will have a negative spillover effect on the United States because American companies will lose market share to the subsidized Chinese companies. That’s a legitimate concern and American officials should use the World Trade Organization to counter mercantilist policies. P.P.S. To my dismay, some people don’t want China to become a rich nation. I assume those people are hoping China follows the advice of the OECD and IMF. Please see my recent paper on MIDAs in China, Professor Mitchell. I endorse your position on industry policy or Made in China 2025. In fact, Hayek’s classic works including ‘Collective Economic Planning'(1934), The Road to Serfdom'(1944), ‘The Fatal Conceit'(1988), have told the decision makers and scholars that central planning can’t succeed finally. My paper on MIDAs also testified the judgment. Lou Jiwei in your blog was a follower of the reformer, former premier Zhu Rongji. In fact, U.S. government, its officials and American people should not fear or worry about that plan. The probability of success is less than 50% if it is pushed by industrial policy or subsidy. Hinder? Based upon the history Chinese development policies have been murderous.